In the modern business world, more and more institutions are using credit card as a mode of payment. Prices have increased to a point where it would be impractical for a person to carry a huge amount of cash to make their purchases so in this article we’re going to talk about the best merchant account practices. In effect, it has become a necessity to have merchant accounts to meet the needs of consumers. Unfortunately, along with the rising use of merchant accounts, the amount of credit card fraud has also risen. For a new business, it may be daunting to start using a merchant account. You may ask yourself, what are the risks? What are the ways we can protect ourselves? How do we spot a shady or suspicious card holder? 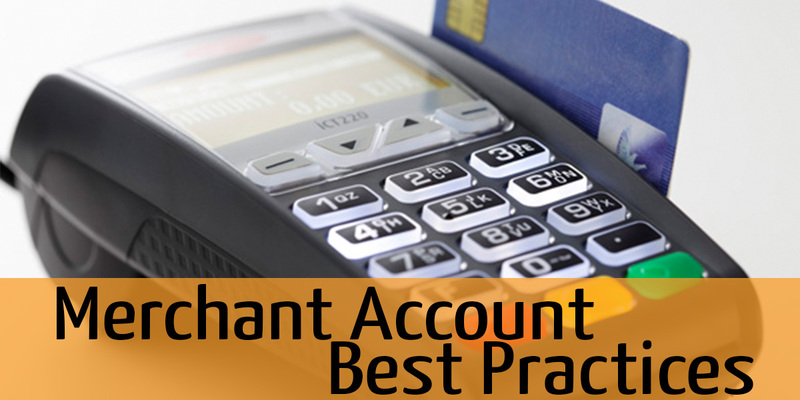 This guide will answer not all, but most of the general concerns a merchant account holder may face. We have separated the guide into two portions, the ‘card present’ and the ‘card not present or online’ transactions. If you follow these best practices when using your merchant account, you’ll avoid problems that can be devastating to your business. The following tips are for the transactions where the cardholder and card is in the presence of the merchant account holder. This means you can physically see the card, hold it, and manually make the transaction. No matter how good a counterfeit is at making a fake copy of a card, there will always be ways to spot a fake card. Start by studying and feeling the texture of a credit card. Once you get used to holding the real thing, it may be easier to spot a fake one. The word MasterCard or Visa should be printed repeatedly in a slanted manner. Always ask for some identification from the cardholder. Re-check the card details to see if it matches the cardholders ID, check the name if it matches on both cards. Be a bit more keen when checking the signature. Avoid entering the card number manually. If a cardholder requests you to do so, there is a chance that the card is fake and cannot be swiped or dipped. All modern cards now have microchips embedded on it to further protect consumers from card fraud. So check the card, if there is a chip, then always insert the card into a chip reader. Double swiping causes for large data discrepancies. It is a practice of swiping the same credit card twice on the same terminal in a short amount of time. It’s a bit easier for merchants to spot frauds for on the spot transactions since they can see and moderate the situation to further investigate the weird feeling that they get. Customers who look like they just randomly purchase things in a nonchalant manner. They might just pick a random set of items especially the expensive ones. Customers who ask you to manually input the card number. Customers who are hesitant about giving any additional information. Customers who request for you to hurry with the processing. These customers usually come at your most busy time or during a time where it’s almost closing. These are usually transactions done over the internet, phone order, or mail order. Always get the standard information from the credit cards. The credit card number, full name of the holder, the CVV2/CVC2 number, contact number of the card holder, address and mailing information. After getting the information, call and confirm everything with the customer. Make sure to repeat the details he gave and ask him to confirm if the details are correct. Contact a local branch of the credit card issuing bank to find out if the name given to you is an actual account holder in their institution. If the bank does not confirm the validity of the account holder, then report it with exact details of the transaction. It would be wise to keep a copy and maintain records of the transaction. Bet it the e-mail exchange between you and customer ordering your items, to the receipts you released the product to. If worse comes to worse, at least you have enough evidence to back up your cause. Here are the warning signs that you ought to be cautious about when dealing with card not present transactions. If the customer orders an unusual amount of items or if they order an unusual amount of the same item. When the e-mail correspondence you had with customer seems to lack a professional tone. When there are multiple credit cards provided with different account names but same contact details. If there have been multiple transactions on the same card in a short amount of time. Orders where customers ask for unusual urgency to deliver. Although a lot of these tips are quite practical and easy to follow, many merchants fail to implement these leading to thousands of dollars worth of loss. Don’t be one of them. Are you unsure of how your merchant accounts work? Do you need an expert to talk to so you can avoid unnecessary hiccups in running your business due to your merchant accounts? Then don’t hesitate get in touch today.